In the wake of disappointing holiday sales at its full-line stores, Nordstrom will shutter stores in Virginia and Florida. In what has become a depressingly routine event among traditional retailers, Nordstrom will close two of its full-line stores — in Norfolk, Virginia, and Wellington, Florida. The closures, which are scheduled for April 5 and will affect approximately 150 employees, were announced Wednesday by the Seattle retailer. “Looking at the needs in these markets and the investments needed to sustain these stores, we decided it made the most sense to close these stores and focus on other ways we can best serve our customers, including nearby Nordstrom and Nordstrom Rack stores as well as online,” said Jamie Nordstrom, company president, in a statement. The announcement comes amid generally dismal news from traditional retailers. Both Macy’s and Kohl’s turned in less-than-stellar numbers for a holiday season that many analysts had expected would lift old-line retailers. Last week, Nordstrom reported that holiday sales at its full-line stores “were below the company’s expectations,” and said it would need to use “higher mark downs” in order to clear unsold inventory. That news sent the price of Nordstrom shares plummeting by more than 7 percent — to $45.01 — as startled market analysts downgraded their Nordstrom forecasts. After Wednesday’s post-market announcement, the stock was unchanged at $46.63. Nordstrom’s recent setbacks come as the 118-year-old retailer confronts significant changes internally and externally. On Jan. 2nd, the family-run company lost its co-president, Blake Nordstrom, to cancer. More broadly, Nordstrom has struggled in recent years to maintain the performance of it full-line stores even as the company has successfully expanded into online retail. While Nordstrom’s online holiday sales were up an impressive 18 percent over last year, sales in its 121 full-price stores were up a meager 0.3 percent, according to the company. Across the sector, sagging in-store performances have led to retailers to reduce their physical footprint. Macy’s has been closing dozen of stores, and recently announced plans to shutter its locations at Redmond and Northgate. Nordstrom launched its location in Norfolk’s MacArthur Center in 1999, when the downtown shopping center opened, according to a report in the Richmond Times-Dispatch. This story has been corrected. 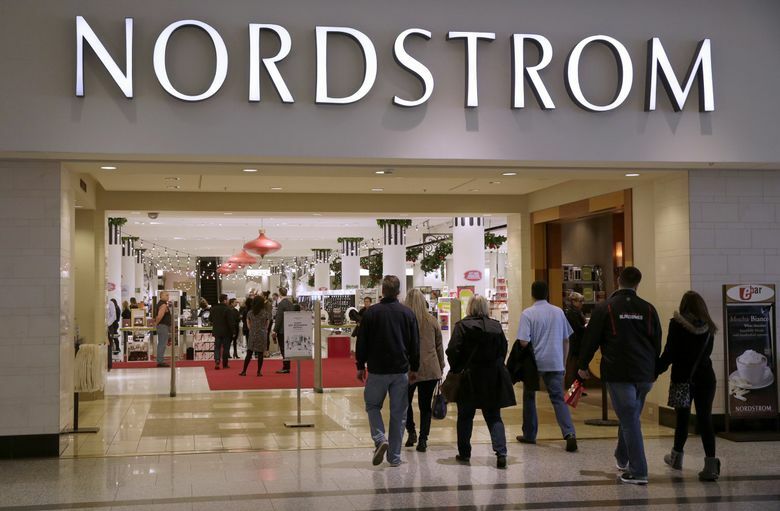 An earlier version referred to Nordstrom as family-owned. While Nordstrom family members control a more than 30 percent of the stock, it is publicly traded. Read more about retail here and Nordstrom here.